Calcium deficiency can be a serious issue. We have, however, compounded the problem by promoting calcium supplementation without magnesium. In the United States we are consuming about 10 times more calcium than magnesium. Very few calcium supplements incorporate magnesium and when they do, there is often an imbalance of twice as much calcium as magnesium. In addition to the many calcium (without magnesium) supplements on the market, calcium is now added to cereals, crackers, juice, antacids and many other items (including soft drinks). Without a proper balance of these two minerals, magnesium becomes depleted, which can result in the negative effects associated with lack of magnesium and a buildup of unassimilated calcium. Magnesium and calcium are fundamental nutrients that need to be in balance with each other in order for you to fully experience good health. Their importance on a cellular level is critical. Calcium and magnesium are like opposite sides of a coin. Calcium excites nerves, while magnesium calms them down. Calcium makes muscles contract. Magnesium is necessary for muscles to relax. Calcium is needed for blood clotting, but magnesium keeps the blood flowing freely. 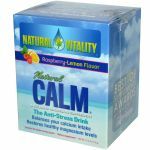 Natural Calm is the solution to both restoring a healthy magnesium level and balancing your calcium intake�the result of which is natural stress relief. 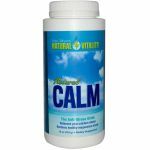 Natural Calm is the best-selling magnesium supplement on the market for over three years in a row according to health food supermarket scanner reports. It features a proprietary formula developed by nutritional researcher Peter Gillham that provides a highly absorbable, water-soluble magnesium in ionic form (having molecular charge that allows the element to easily bond with water), so it is ready to go to work right away. Magnesium and calcium are fundamental nutrients that need to be in balance with each other in order for you to fully experience good health. Their importance on a cellular level is critical. Calcium and magnesium are like opposite sides of a coin. Calcium excites nerves, while magnesium calms them down. Calcium makes muscles contract. Magnesium is necessary for muscles to relax. Calcium is needed for blood clotting, but magnesium keeps the blood flowing freely. 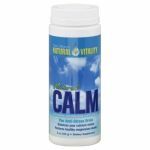 Natural Calm is the solution to both restoring a healthy magnesium level and balancing your calcium intake�the result of which is natural stress relief. Natural Calm is the best-selling magnesium supplement on the market for over three years in a row according to health food supermarket scanner reports. It features a proprietary formula developed by nutritional researcher Peter Gillham that provides a highly absorbable, water-soluble magnesium in ionic form (having molecular charge that allows the element to easily bond with water), so it is ready to go to work right away. Magnesium and calcium are fundamental nutrients that need to be in balance with each other in order for you to fully experience good health. Their importance on a cellular level is critical. Calcium and magnesium are like opposite sides of a coin. Calcium excites nerves, while magnesium calms them down. Calcium makes muscles contract. Magnesium is necessary for muscles to relax. Calcium is needed for blood clotting, but magnesium keeps the blood flowing freely. 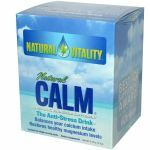 Natural Calm is the solution to both restoring a healthy magnesium level and balancing your calcium intake�the result of which is natural stress relief. 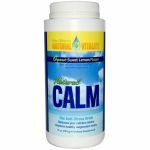 Natural Calm is the best-selling magnesium supplement on the market for over three years in a row according to health food supermarket scanner reports. It features a proprietary formula developed by nutritional researcher Peter Gillham that provides a highly absorbable, water-soluble magnesium in ionic form (having molecular charge that allows the element to easily bond with water), so it is ready to go to work right away. Magnesium and calcium are fundamental nutrients that need to be in balance with each other in order for you to fully experience good health. Their importance on a cellular level is critical. Calcium and magnesium are like opposite sides of a coin. Calcium excites nerves, while magnesium calms them down. Calcium makes muscles contract. Magnesium is necessary for muscles to relax. Calcium is needed for blood clotting, but magnesium keeps the blood flowing freely. Natural Calm is the solution to both restoring a healthy magnesium level and balancing your calcium intake�the result of which is natural stress relief. Natural Calm is the best-selling magnesium supplement on the market for over three years in a row according to health food supermarket scanner reports. It features a proprietary formula developed by nutritional researcher Peter Gillham that provides a highly absorbable, water-soluble magnesium in ionic form (having molecular charge that allows the element to easily bond with water), so it is ready to go to work right away. Magnesium and calcium are fundamental nutrients that need to be in balance with each other in order for you to fully experience good health. Their importance on a cellular level is critical. Calcium and magnesium are like opposite sides of a coin. Calcium excites nerves, while magnesium calms them down. Calcium makes muscles contract. Magnesium is necessary for muscles to relax. Calcium is needed for blood clotting, but magnesium keeps the blood flowing freely. 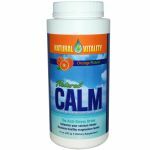 Natural Calm is the solution to both restoring a healthy magnesium level and balancing your calcium intake�the result of which is natural stress relief. Natural Calm is the best-selling magnesium supplement on the market for over three years in a row according to health food supermarket scanner reports. It features a proprietary formula developed by nutritional researcher Peter Gillham that provides a highly absorbable, water-soluble magnesium in ionic form (having molecular charge that allows the element to easily bond with water), so it is ready to go to work right away. Organic Life Vitamins is an energy-packed multi-nutrient - more than a multi-vitamin. Organic Life Vitamins is a liquid revolution in daily nutrition�a new generation in multis! It�s a convenient, great-tasting and economical way to get premium nutrition your body can use every day. Magnesium and calcium are fundamental nutrients that need to be in balance with each other in order for you to fully experience good health. Their importance on a cellular level is critical. Calcium and magnesium are like opposite sides of a coin. Calcium excites nerves, while magnesium calms them down. Calcium makes muscles contract. Magnesium is necessary for muscles to relax. Calcium is needed for blood clotting, but magnesium keeps the blood flowing freely. Natural Calm is the solution to both restoring a healthy magnesium level and balancing your calcium intake�the result of which is natural stress relief. Natural Calm is the best-selling magnesium supplement on the market for over three years in a row according to health food supermarket scanner reports. It features a proprietary formula developed by nutritional researcher Peter Gillham that provides a highly absorbable, water-soluble magnesium in ionic form (having molecular charge that allows the element to easily bond with water), so it is ready to go to work right away. Magnesium and calcium are fundamental nutrients that need to be in balance with each other in order for you to fully experience good health. Their importance on a cellular level is critical. Calcium and magnesium are like opposite sides of a coin. Calcium excites nerves, while magnesium calms them down. Calcium makes muscles contract. Magnesium is necessary for muscles to relax. Calcium is needed for blood clotting, but magnesium keeps the blood flowing freely. Natural Calm is the solution to both restoring a healthy magnesium level and balancing your calcium intake�the result of which is natural stress relief. 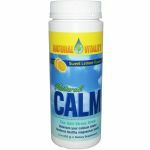 Natural Calm is the best-selling magnesium supplement on the market for over three years in a row according to health food supermarket scanner reports. It features a proprietary formula developed by nutritional researcher Peter Gillham that provides a highly absorbable, water-soluble magnesium in ionic form (having molecular charge that allows the element to easily bond with water), so it is ready to go to work right away.